Because you asked for it, here it is: a few notes on the new Mac OS X. But I must clarify that I have not used it that much yet. Since I don’t have a multitouch trackpad on my old Mac, the new subtler scroll bars don’t disappear. This is good. Scroll bars serve a purpose: They tell you if there is more content in the window and how much content you can see at once. I want to be able to glance at them without needing to attempt to scroll. Not having a multitouch trackpad has disadvantages: No cool gestures for Mission Control, Launchpad, etc. I’m missing out. Oh yeah, Mission Control is great, and Launchpad might be useful. The new Mail.app is cool and I really really like the way they did threaded messages. They reversed the scrolling behavior: Move fingers up, and the content moves up, like on the iPad. This seems like the right thing to me but it’s going to take some time to get used to. I will try to without going crazy. Those of you who aren’t as patient can toggle the behavior in the System Preferences. I really like full screen apps except for the fact that the menu bar hides until you hover. It’s not that I need to see the menu bar, but rather that when I move the mouse up to push some button or select the URL bar in Safari, the menu bar pops down and pushes down whatever I’m trying to click on. It’s driving me crazy. Breaks Fitt’s Law too. AirDrop does not work on my computer. I don’t know the details on how it’s implemented nor why they couldn’t make it work on my computer… but my hardware does not support it. The lesson so far: Time for me to get a new Mac. 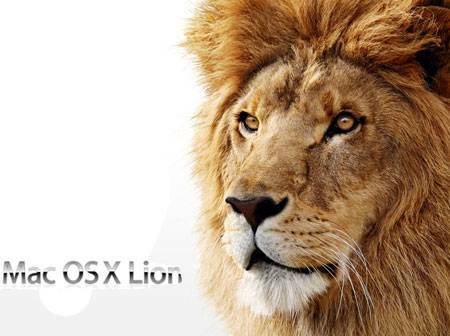 But here’s what I think is the most significant and profound change in Mac OS X 10.7 Lion – and it happens to be the one thing that you won’t use immediately because it requires third party application updates: Auto Save and Versions and Resume. It’s a big deal: Apple went back and questioned one of the most basic givens of computer use since the 80’s, the stuff nobody even questions anymore. From now on, you no longer do we need to save your files. It happens automatically, and you can always go back and revert any change. It’s built-in and transparent and easy to use. It’s great. And they didn’t stop there. Quitting applications is now obsolete! But if you do quit, when you restart the application or even your computer, everything comes back just the way you left it (and you didn’t have to save your open files!). Maybe it doesn’t sound like much, but it is a is a change to a basic paradigm on our interaction with our computers (Ah! but not our iPhones and iPads). File managing and file systems are going away, and that’s a good thing. Overall I really like Lion, it feels as fast if not faster than Snow Leopard (YMMV), and it’s very well worth a paltry $29. So download your copy now!